Intel is ALL IN on AI. Intel CEO Brian Krzanich announced that Intel has invested more than $1 billion in businesses that are advancing the field of AI, saying, “We are 100% committed to creating the roadmap of optimized products to support emerging mainstream AI workloads.” These investments have come through the Intel Capital investment fund and include financing for a number of AI startups, including Data Robot, Mighty AI, as well as acquisitions, including Altera, Nervana Systems, and Movidius, just to name a few. But what makes Intel special is that it’s uniquely positioned to accelerate enterprise growth. Why? Scale: As the worldwide leader in compute, Intel is in a strong position to lead in AI. Customers can begin their AI journey with their existing Intel® CPU resources. This includes the ability to achieve almost any deep learning (DL) throughput—now that many of the most popular DL frameworks are optimized for performance and scale using Intel® Xeon® CPU infrastructure. AI Portfolio: Intel has the broadest AI portfolio, delivering compute, software, and solutions from edge-to-cloud, including purpose-built silicon acceleration, value-added software tools, turnkey cloud & appliance platforms, and even full-stack solutions, to ensure that our customers and developers have what they need to best solve their AI challenges. Research: Intel’s R&D investments will expand the frontier of AI computing into the next decade. 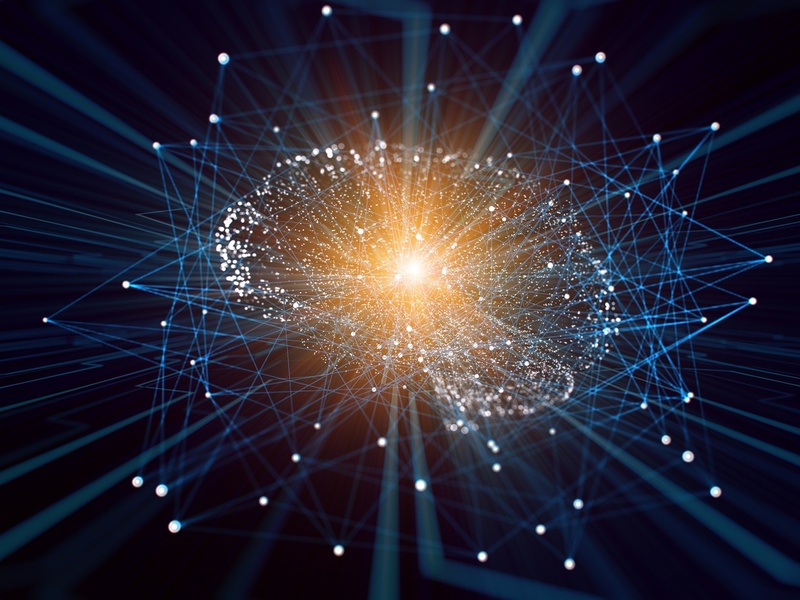 These efforts include cutting-edge research on neuromorphic and quantum computing, storage, memory, communications technology, and algorithms, all aimed at removing barriers to AI advancements. Ecosystem: Intel invests heavily in ecosystem enabling to accelerate progress through industry collaboration with a diverse group of developers, academia, start-ups, government entities, and enterprise customers. To continue this focus on accelerating enterprise and ecosystem growth via key partners, today we announced the Intel® AI Builders Partner Program, a market enablement program primarily for software vendors, systems integrators, hardware OEMs, and enterprise end-users. Technical enablement with access to Intel® AI Academy, an exclusive Intel® AI DevCloud for Builders members, and technical support to optimize their solution. Co-Marketing of partners’ optimized solutions via various Intel® channels. Match-making optimized partners with Intel® enterprise customers. Investment via Intel Capital for select start-ups. To learn more about Intel® AI Builders and how to join, please go to https://builders.intel.com/ai. To find out more about the announcement, please read the Intel News Byte https://newsroom.intel.com/news/intel-ai-builders-program-accelerates-ai-enterprise-ecosystem-growth/. Brigitte Alexander is managing director of artificial intelligence (AI) partner programs for Intel, where she is responsible for creating a scalable and vibrant global AI partner ecosystem on Intel AI technology by attracting, recruiting and maintaining relationships with best-of-breed enterprise independent software vendors, system integrators and original equipment manufacturers. Previously, Brigitte led ecosystem and global marketing for Vuforia, an augmented reality platform owned by Qualcomm and then sold to PTC, and held a variety of positions, including director of partnerships, partner marketing, and product management, at such companies as Yahoo and Infospace. Brigitte holds an MBA from the Thunderbird School of Global Management and a BA from the University of California, Santa Barbara. Previous article:Of Course We Want Personalization. But What About the Other Side of the Decision Journey?